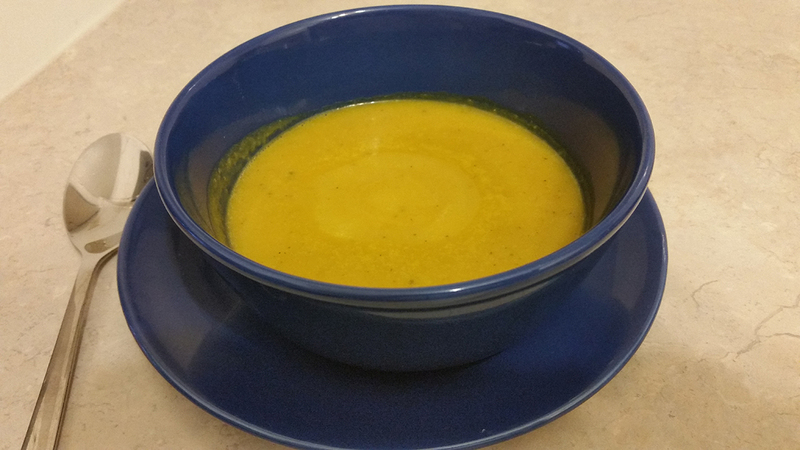 I have two versions of butternut squash soup that I alternate throughout the fall and winter season. The first version is a bit sweet, while the second version is more savoury. I have outlined the two versions below. I usually use chicken stock to give the soup a meaty flavour, but you can use vegetable stock to keep the recipe vegan. Add olive oil to large pot on medium heat. Add onion, carrots, apples and thyme. When squash is cool enough to handle, remove skin and dice into cubes. Add to pot. Sauté together for about 10 minutes.